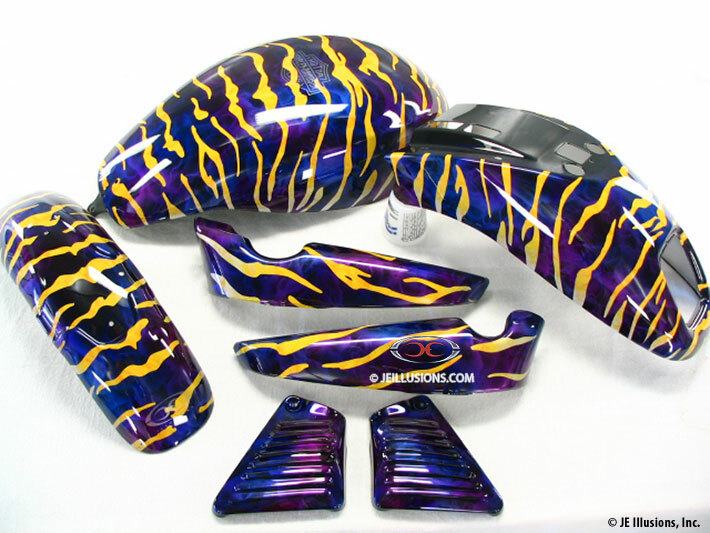 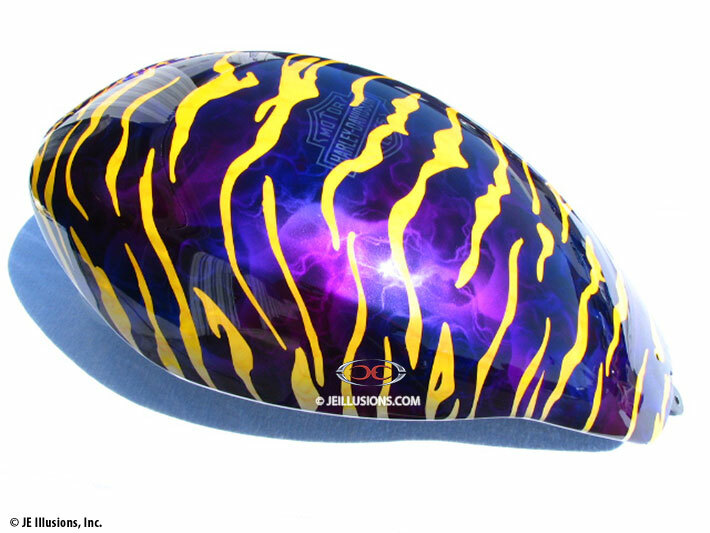 Royal Blue and Velvet Purple blend together as the under-base on this paint job, topped off with our signature air brushed marbling effects. 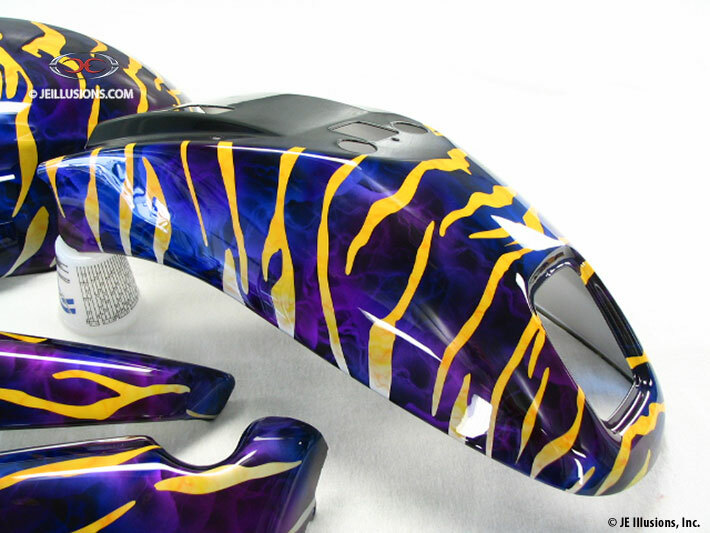 Then, on top of all of this are Bright Yellow hand air-brushed tiger stripes. 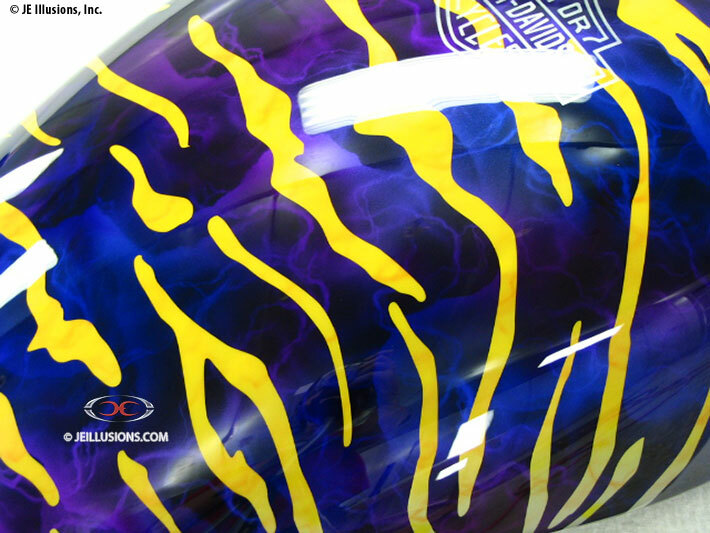 A Harley-Davidson shield logo sits on top of the tank.